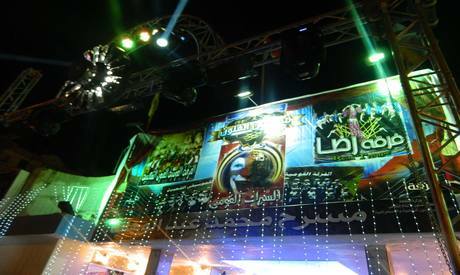 The Mohamed Abdelwahab Theatre in Alexandria was re-opened Friday after years of closure and renovation work. The theatre is located in El-Raml Station in Downtown Alexandria. Minister of Culture Ines Abdeldayem attended the opening ceremony, which included a performance by the National Traditional Dance Troupe, a documentary about the theatre's renovation, as well as a performance titled Farhana by Reda Folk Dance Troupe. The performance was directed by Hossam El-Din Salah, and written by Mohamed Sawaf. The ceremony honoured 20 people who performed on the stage and contributed to the development of folk dance and performance. Some of those honoured include late director Abdelghaffar Ouda, Egyptian National Circus pioneer Amhed Salem, Mohamed Khalil, and Kamal Naem, among others. The ceremony also honoured Reda Troupe and it's founder Mahmoud Reda, main dancer Farida Fahmy, director Abdelrahman El-Shafei, critic Hamdy El-Gabry, and singer Mohamed El-Helw. Renovation work at the theatre included an increase of the number of seats in the main hall to 600, as well as enclosing several outdoor halls to host performances all year round and not just during summer, as it was previously. The theatre now also includes training halls for troupes and a library and screening hall. The new Abdelwahab Theatre will be hosting it's first a play starting 28 September titled Ahbab El-Naby (The Prophet's Beloveds), which will run for 12 days.